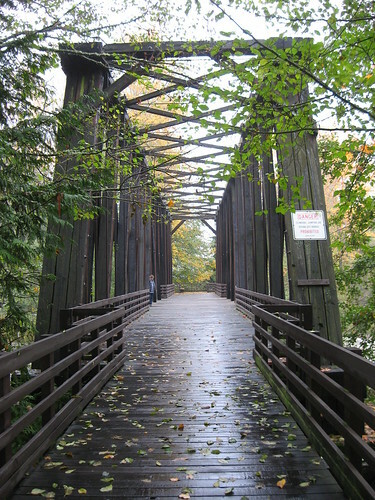 Park at the Railroad Bridge in Sequim and bike to one of our member wineries in Port Angeles. One of the many wonderful qualities of Washington State is that it is home to such diverse terrain and climates. Tall volcanic peaks such as Mount Baker and Mount Rainier are snow-covered twelve months a year. The lush forests of the Hoh are green twelve months a year. There are ocean beaches and high plateaux. There are steep canyons, rolling palouse, and several mountain ranges. This diversity means that the sun is almost always shining somewhere in the state. On the Olympic Peninsula, the sun shines most frequently in the Olympic Rain Shadow; Sequim and Port Townsend are the two towns that benefit most from the sheltering presence of the Olympic Mountains. Whereas the Seattle area receives an average annual rainfall of close to 40 inches, Sequim receives approximately 15 inches a year. Port Townsend gets a whopping 17 inches. That is a significant difference. The Olympic Discovery Trail is a great spot to stretch the legs with a run, a walk, or a bike ride. The trail currently stretches from Ediz Hook in Port Angeles to the Jamestown S’Klallam Tribal Center at the south end of Sequim Bay. Other completed sections of the trail are in Port Townsend and west of Port Angeles. Eventually the trail will extend from Port Townsend to the Pacific Coast. When the persistent low cloud cover in the Seattle area starts to bring you down this winter, load your bike in the car and head to the Olympic Discovery Trail. Make it a day trip or stay for a few days. It’ll do wonders for you. 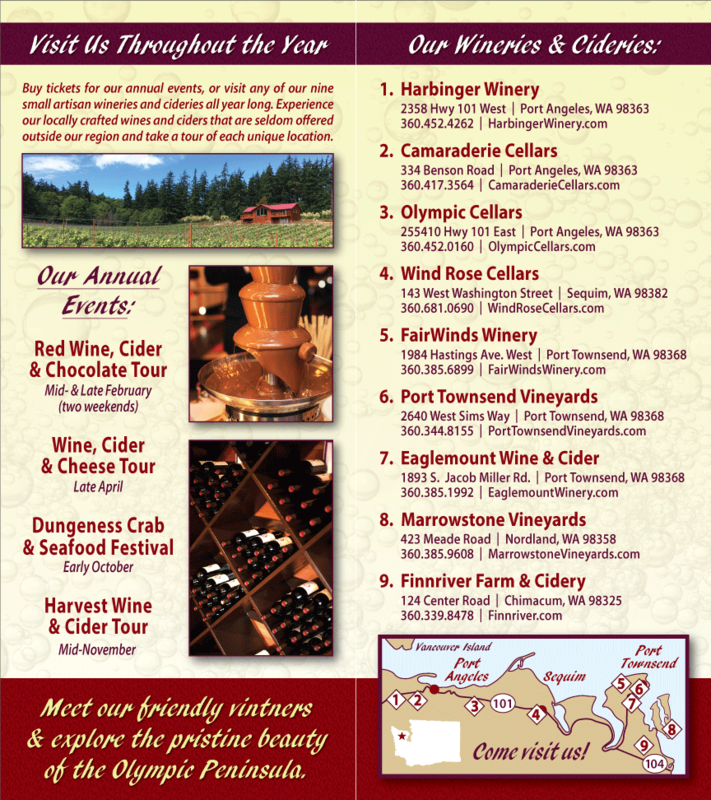 While you’re on the Olympic Peninsula, we hope you’ll be in the mood to try some Washington State Wine and Cider. You’ll find three wineries on the Port Angeles end of the Olympic Discovery Trail: Camaraderie Cellars, Harbinger Winery, and Black Diamond Winery. Olympic Cellars is a great spot to rest mid-route; it sits near the border of Sequim and Port Angeles. Stop for a taste, or pick up a bottle and enjoy it once you’re safely back home. More information about the trail is available at Olympic Discovery Trail.